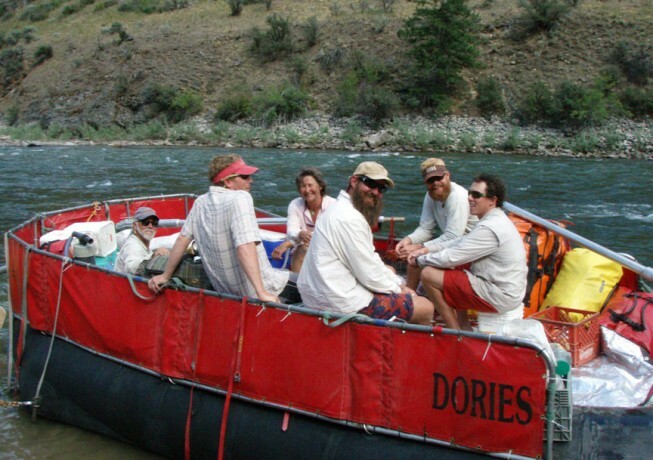 It’s morning on the river; everyone snaps on their personal flotation devices and rubs sunscreen on their faces when the trip leader calls, “Hey! Quick crew meeting!” and we, the river crew, move into a loose circle on the other side of camp. “What’s going on over there?” one guest asks. “Yeah, are they talking about us?” another queries. Yes and no. Here are the main topics that usually get discussed during a guide meeting. 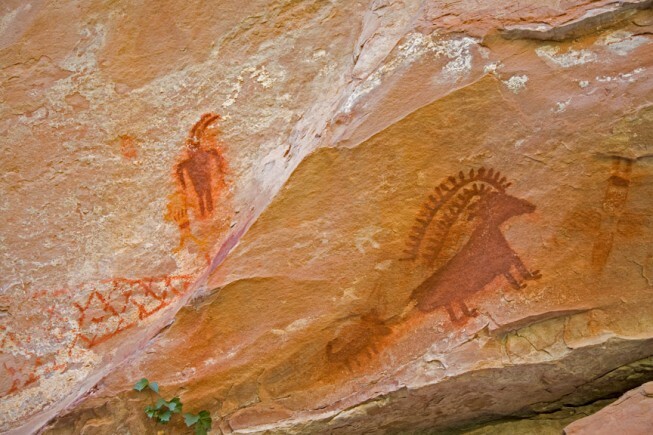 Let’s stop at those pictographs on river right… The crew meeting is a time for the trip leader to make sure the team knows the plan for the upcoming day, from interesting historical stops, to lunch timing, to the destination camp for the night. 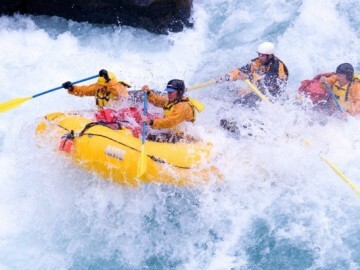 Communication between guides is a key factor in the overall fun and safety of a trip. And watch out for the wave above the landing! Addressing safety is a big part of any crew meeting. 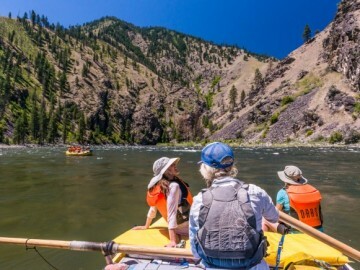 Guides discuss lines through rapids, sneaky mid-river rocks to look out for and even on-shore hazards. If I’ve taken the previous week off the river, I’m especially interested to know how the different flows have changed the river and what to be looking out for. How’s your shoulder feeling? Guiding is physical and social work, so the crew is always checking in on the well being of their coworkers. The crew meeting is a quick moment to make sure each guide is 100% ready for the day ahead. When the inevitable injury or tired-day occurs, we want know exactly what support our coworker is going to need. And how is Betsy’s ankle? Looks like she twisted it stepping off the boat yesterday. The crew meeting also lets the guides check in on the well being of their guests. If Betsy’s ankle is hurting, it’s important for the trip leader to know to slow down the afternoon hike. If Don mentioned to me the day before that he was hoping for a quiet afternoon to watch scenery, I’ll mention that to his guide for the day. Let’s set up a horseshoe game at lunch! 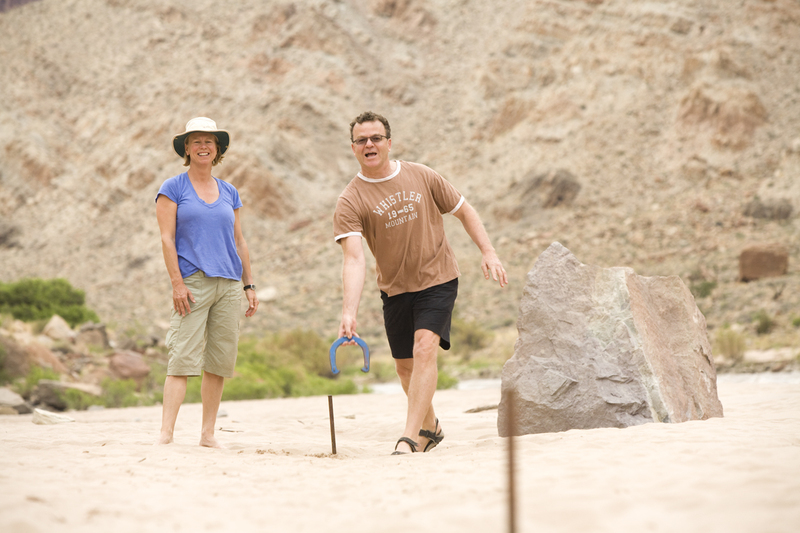 Guides are always looking for ways to make each moment of a trip full of fun and relaxing moments. From beach games to surprise water fights to good jokes, the crew meeting is a great time for guides to brainstorm how to make the day ahead a blast. Would you rather be a flying rhinoceros or a giant swimming rattlesnake? Especially during evening crew meetings, conversation often turns to completely non-river conversation. That burst of laughter? 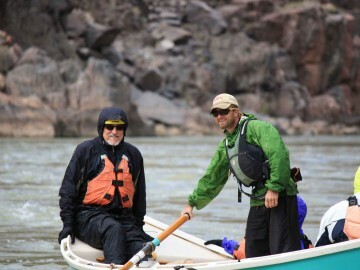 It’s because your guides are imagining wings on a rhinoceros, not because they’re reflecting on your inflatable kayak run through that big rapid. I’m going to put on hot pink lipstick, there’s a big rapid downstream! 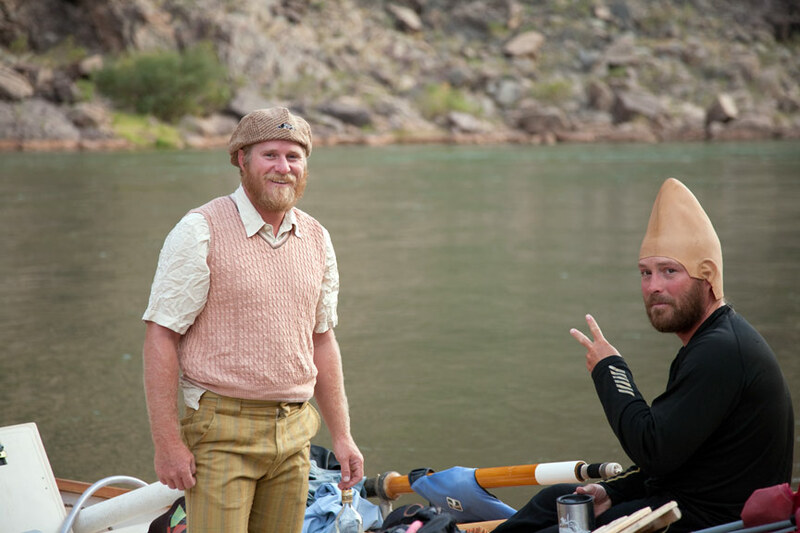 Each guide has a different pre-whitewater ritual (bright shades of lipstick is Idaho guide Codye Cammack’s signature move…) and the crew meeting is a great time to get everyone on board. The goofier the better! After the crew meeting, the team is prepared for a great day on the water. Hang on tight!